Let's look at three options. a, b and tenuki. 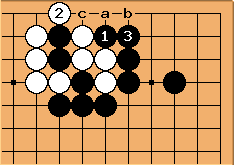 If Black at here, can play tenuki. ends in gote. Later there is the alphabetized endgame. 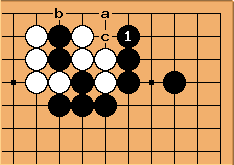 If Black does not play tenuki, he ends in gote. We can expect White a, Black b, White c in the late endgame. 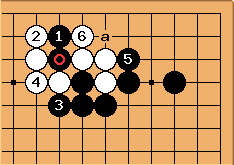 Black gives up the possibility of tenuki and ends up in gote anyway. 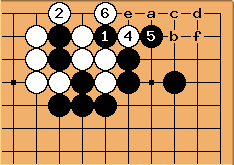 In the endgame we can expect Black a White b Black c.
If Black plays tenuki, can be sente.